How to knit a leaf ? 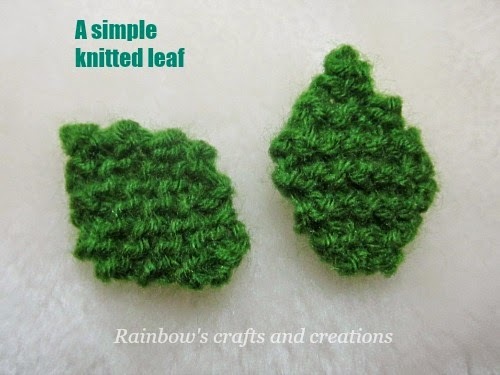 Here is a very simple knitted leaf pattern for beginner. I am sure you can do it, it is a piece of cake. Don't look down upon this super simple leaf pattern, it could set off the knitted flower and give you an effective outcome. What you need is a pair of straight needles and yarn. You can use the needle size 2mm or larger. The larger the size of the needle the larger the leaf. row 13 : slip one stitch, K2tog, pass the slipped stitch over and fasten off.